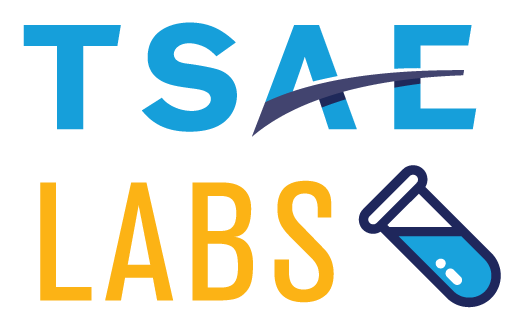 As part of our growing education calendar, we’re pleased to introduce TSAE Labs in 2019! These half-day workshops will explore one topic in-depth in an interactive small group learning environment. Labs will be limited to 20-30 participants so secure your spot soon! Making Your Sales More Productive, Effective and Fun! Generating and increasing non-dues revenue is an essential activity for every association, and your sponsors, exhibitors and advertisers are savvy buyers with high ROI expectations. Association professionals in charge of selling and managing these relationships often have limited sales experience and it’s usually not the favorite hat of the many that are worn in this industry. This half-day, interactive workshop is geared for professionals who need to fine tune their sales approach. Better prioritize your actions for a bigger top line result. Additionally, you’ll walk away with checklists and other sales tools for your next pitch. Following the Lab, you’ll be invited to stay for a networking lunch where you can continue conversations with peers, share experiences and visit with instructors. Carrie is one of those weirdos that loves sales (in spite of some painful experiences). She has sold for and to associations, as well as selling to Fortune 500 companies. Include her babysitting business in middle school and her waitressing gigs in high school/college, and she’s been selling for a looong time and loves helping others enjoy sales more. Charles has more than 20 years of experience working with hundreds of trade and professional associations to help them optimize their revenue generation, publishing and communication efforts. He started his career with lots of cold calling as an individual contributor and progressed into executive management roles, building and leading successful teams and organizations, before starting The Wyman Company. Room block information coming soon. Since Steven Spielberg isn't going to intern at your association, YOU need to figure out how to make videos for social media, marketing and communications. This hands-on workshop teaches you dozens of easy, budget-friendly tech tools to make professional-level videos on the cheap and on the fly. You'll learn how to turn photos you take at the opening reception into the highlight video you'll show before the first keynote. You'll discover strategy for turning longer video clips into exciting short promo videos. We'll cover everything you need to up your video game, from GIFs to video postcards to conversion tools so your creations can be shared on a number of platforms. BONUS: Attendees will bring photos and video clips from their associations to finish the workshop with a completed multimedia masterpiece. Since her first Commodore 64 computer, Beth has made a verb out of the word nerd. She’s here to help you filter through thousands of apps, gadgets, widgets and doodads to find the perfect free and bargain technology tools and work at home. Standard room: $155 (+ taxes). To book, please call Reservations Department at (800) HILTONS and ask for the TSAE Room Block rate at the Hilton Dallas/Rockwall Lakefront. In an association world of ever-increasing competition, of customers who seem to have less time and read fewer communications, of generational and societal shifts that are quickly impacting organizational structure, our associations have to stand out in order to grow. In fact, our associations have to produce the right solutions for the right members in the right format, all while generating experiences and interactions that are easy, positive and, where possible, fun. And we can’t rely on the long-standing premise that what we create will be an evergreen solution - instead, we must continually experiment, prototype, learn and grow. So, how can we keep up? Design thinking may provide the answer. In this deep dive, you will come to understand the basic tenants of the design thinking approach. Each participant will bring their own member-focused experience that they are looking to workshop. Through a facilitated series of exercises, you will re-define and refine your approach, placing the customer and their experience at the core of what you create. You will walk away with tangible next steps in hand - with your own efforts and focus determining the path those steps take. Aaron Wolowiec is an award-winning learning strategist and meetings coach for leading trade associations and individual membership societies across the United States. Committed to the latest research and trends on learning, intentional networking environments and meaningful transfer exercises, he launched Event Garde, a professional development consultancy, in 2011. Lowell Aplebaum, CAE, CPF is the CEO and Strategy Catalyst of Vista Cova – a company that partners with organizations on strategic visioning and planning, creating stronger governance models, and reimagining value and engagement. Lowell frequently provides dynamic sessions to organizations – conducting deep-dive interviews and getting members and volunteers involved through experiential learning approaches. He currently serves as the Chair for the overseeing commission for the Certified Association Executive certification, and Chaired ASAE’s Task Force on CEO Pathways. He is a Certified Professional Facilitator and the creator of a master-level learning series called Through the CEO Lens and Association Charrette – a co-creation retreat experience. His work on global efforts for associations has included experience across five continents, hundreds of volunteer groups, and all 50 states in the U.S.